Here is some of the music I’ve recorded over the years. Some of it I like, some feels a bit embarrassing, but it’s all mine (except the bits that aren’t, and I acknowledge those as I go along). Growing up in Heysham, my bedroom looked down over Half Moon Bay and out across the bay towards Barrow and Walney Island. Then they built two enormous nuclear power stations. This was my response. And here’s a photo from when I was a kid. We used to play in that pillbox; it’s gone now. This song very much thanks to Steve Allen for the title. 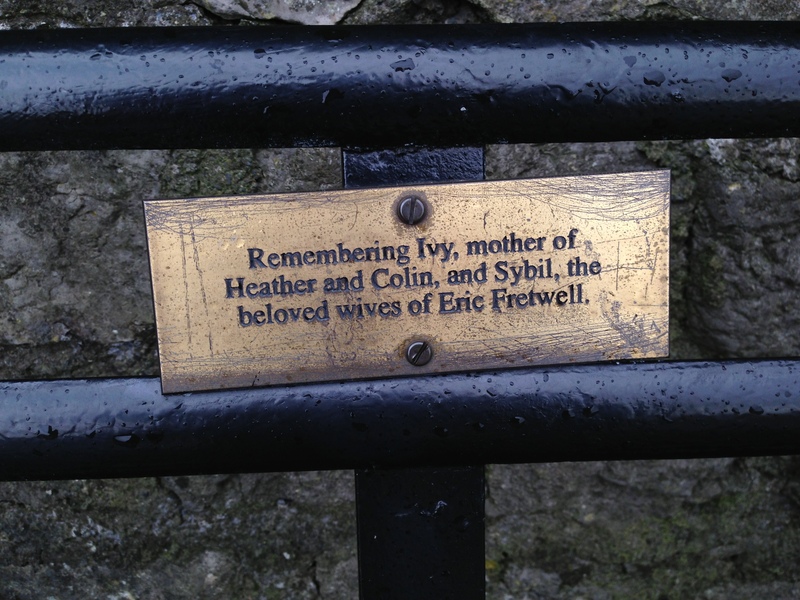 Steve lives in Grange-Over-Sands and, one day, while walking along Grange prom, he spotted a bench. Well, it was too good a title to ignore, so I wrote the song. This recording is by ‘Moon Road’, a country-folk group started by a few of us who were connected with Lancaster Steiner School. I’ll write more about ‘Moon Road’ at some point. This is a protest song – about what I haven’t a clue. It was written and recorded in the late 80s. The recording was done by Steve at ‘The Mill’, the studio he built in Blackburn – and hence a ‘Run of the Mill’ production. As with ‘Moon Road’ I’ll write more about ‘The Mill’ as time goes on. Some people find it a bit disturbing – can’t imagine why. There is a longer version which Steve remixed (about nine and a half minutes) but for some reason I can’t seem to get it to insert here. If I manage to work it out I’ll put it in at some point. Anyway, enjoy! Finally managed to upload it. This is the original version, not for the faint-hearted! Nothing much to say, just a song and me and my guitar. This was written for Wendy, Steve’s partner. She is a physics professor in Manchester and she oversees a synchrotron. I wanted to write something that used the language associated with particle accelerators. This was the result. This is a collaboration. Steve sent me some lyrics and I then played around with them and came up with this. I think Steve’s lyrics are great but some of the stuff I added could be improved. Maybe some time. Anyway, this was recorded on my computer and it was great fun to do. As far as I remember I recorded it in Cockos Reaper, which is a great digital audio workstation. I’ll be adding more as I find them – I had a calamity recently when I accidentally wiped the hard drive where a lot of my music was stored. Luckily I had some of it backed up but I’m not sure yet what I lost. Ah well. This was one of a bunch of songs I wrote in a few hours. I had got this book, ‘The Frustrated Songwriter’s Handbook’ and in it there was a discussion of something called ‘The Immersion Composition Society‘. One of the exercises they recommend is called ‘The 20 Song Game’, in which you set aside a period of time, a day if possible, and try to write and record 20 songs in this period. It’s a way of bypassing your critical head and just going with what comes. It’s great fun and I intend to have another go some time. This is an old one, I wrote it some time in the 1980s I think. As with a lot of my songs, I’m not sure what it’s about. It’s sort of based on Dylan’s ‘All Along the Watchtower’ but with a different sort of feel and tempo. I’ve always loved his version of the song on the John Wesley Harding album and have played around with the rhythm on guitar for years. Another end of relationship song. I don’t know why I write them, I’m very happy in my relationship with Denise. I suppose one thing is it’s easier to write unhappy songs than happy songs. Not sure about this one. It’s one of the ones I find a bit embarrassing. Anyway, it is what it is. Another one of the songs from the ’20 Song Game’. Just a bit of fun. This was the first song I recorded and, thinking about it, the first one I wrote. We recorded it in Steve’s house in Heysham Village (actually I think we recorded it in the Woolshop which Steve’s mum had next to the house). It was recorded on a Revox reel-to-reel tape recorder which Steve had borrowed from someone called Geoff Normington who had a music shop on Euston Road in Morecambe, more or less next door to Steve’s dad’s shop, Shop 66 (66 Euston Road). We recorded two songs and took them to a studio in Hest Bank called, I think, De Lane Lea, and had them turned into a 7″ single. The problem was that the record was of such poor quality materials that once it had been played a few times the quality degraded to what you can hear in this recording. I like the song though and wish I could sing as high as this now. I’ll try to find the other recording and post that. As with many of my songs I’m not sure what it’s about but I like the feel and the imagery. This is about Steve and The Mill studio in Blackburn. I wanted to get a sort of Beatle’s feel to it. It could do with some work as the lyrics were never finished. I recorded this back in the last eighties on a Fostex X15 four track cassette recorder. Great fun and would like one now. There’s something about the warmth and saturation of tape that you don’t seem to get with digital equipment despite the greater fidelity. This was recorded at The Mill sometime in the late eighties. I think it’s Milla, a fantastic singer, who does the backing vocals. I like the lyrics for this one but would like a chance to rerecord it.